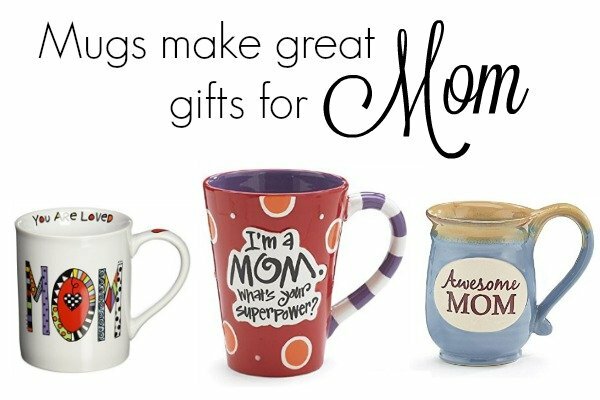 Mugs Make a Great Mother’s Day Gifts! I have a scary obsession with mugs. Just when I say I have too many, I fall in love with another… especially if that mug is a gift from my kids. I think that mugs make great gifts for Mother’s Day, especially if you pair them with some coffee! I love giving (and receiving!) mugs because they are a gift that you can use everyday! Now, if mom likes a little snark (Hey! You know her best!) then you might like these fun Enesco Mugs, several saying to choose from and they are a smokin’ deal at just $5.99 shipped!! I might even grab one of these to send across the miles to a sweet friend who could probably use a smile this Mother’s Day!